Valid grounds for a will contest in Illinois center on the decedent's mental and physical health and the will's creation and execution. A testator, who is the person making a will, must understand the nature and value of his property and have the ability to make a disposition of his property. A disabled adult can still possess the capacity to make a valid will. However, if the decedent was under "undue influence" when he made the will, meaning that another person took advantage of him, or if any fraud, forgery or force was involved in the will's creation, an interested person may challenge it. The court takes the deceased's mental and physical health at the time the will was made into account during a contest. Illinois only gives an interested person six months from the date the will was filed in probate court for estate proceedings to file a contest petition. She must file the petition in the same probate court in which the will was filed. Petition formats vary by county, but the petitioner commonly needs the deceased's name, date and place of death, the court case number for the probate proceeding and the reason for the contest. 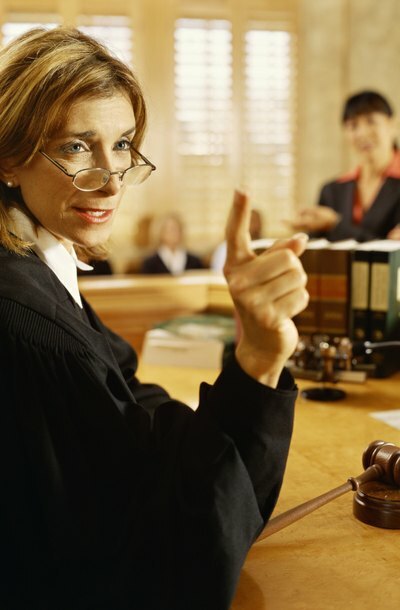 Both the petitioner and the executor have the right to request a trial by jury. If an interested person dies, her legal heirs have the right to contest the will in her place. Once a person files a petition to contest a will in probate court, she must mail or have a copy of the petition personally handed to all persons entitled to a copy. Local court rules set the delivery method for the petition copies. The people listed on the original petition for probate, the executor, and the executor's attorney must receive a copy of the petition. Failing to send notice to all the entitled parties doesn't extend the six-month deadline for the petitioner. The will executor is legally obligated to defend a will during a contest in Illinois. The probate court may order him to defend the will or appeal a judgment that declared the will invalid. If he fails to do so, the court may appoint another person as special representative; she then defends the will or appeals a prior judgment in the original executor's place. The court may appoint a special representative for the estate during a will contest if the estate doesn't have an acting executor. Reda, Ciprian, Magnone, LLC: Executor, Administrator, Representative? Can I Be the Executor of an Estate in Texas With a Felony? If you have been named in a will as the executor of an estate in Texas, the county probate judge must determine if you are qualified to serve. Since the executor is responsible for safeguarding the assets, paying bills, filing tax returns and distributing the assets to the beneficiaries, Texas law disqualifies certain groups of people, including convicted felons, from serving in that capacity.